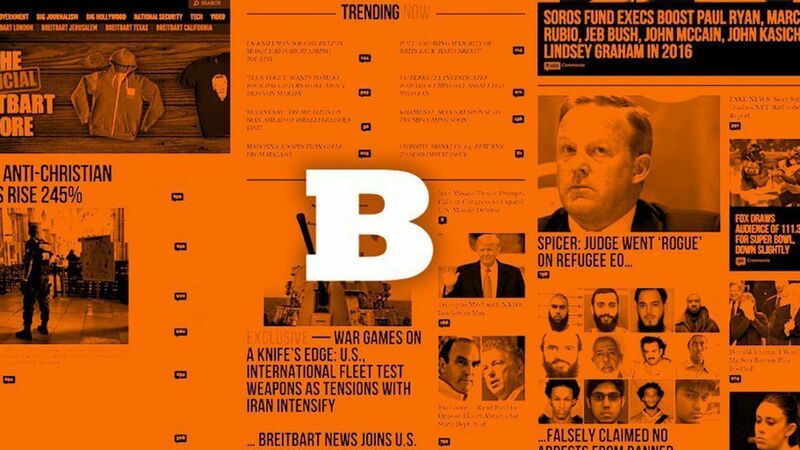 Many of the largest global ad agencies, like GroupM and Omnicom, are being asked by companies they represent to blacklist Breitbart from ad plans, according to reports in BuzzFeed and Digiday. That is likely to sting the site, which has seen an uptick in traffic and runs programmatic digital ads. Breitbart did not respond to a request for comment, but on Wednesday, Breitbart executives told Fox Business that the association with the far-right is hurting their business and they plan to pivot to a more mainstream audience. Companies and ad vendors have been wary about working with Breitbart since the election, but according to agency executives, efforts to pull ads have recently ramped up. "Since the election, we have seen a more general awareness," says Ben Coffey Clark, a founding partner at Bully Pulpit Interactive, which represents an array of corporate and advocacy clients. The watchdog: Most companies don't even realize that their ads are running on Breitbart.com because they buy ads through an automated process that distributes their content on hundreds of sites. Many companies started to become aware of their ads on Breitbart when a crowdsourced Twitter handle called Sleeping Giants started calling them out. A Google Doc from Sleeping Giants shows over 1,000 companies that have pulled Breitbart from ad buys.